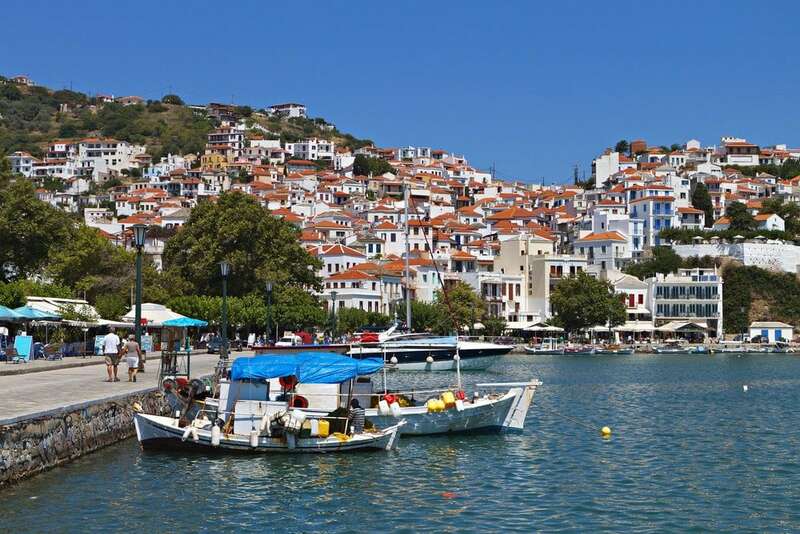 Skopelos, along with Skiathos and Alonissos, is one of the Northern Sporades islands, which lies east of the Pelion penninsula on the mainland and north of the island of Evia. The Chora, the capital of the island, has been characterized as a traditional settlement of outstanding beauty. It was once the center of a vital shipbuilding industry, which contributed many ships to the War of Greek Independence. The island is nowadays a popular tourist destination, thanks to its beautiful beaches, among which the beach of Agios Ioannis, with the homonymous chapel, perched on the top of a 100m rock, that became famous after the filming of Mamma Mia in 2008. 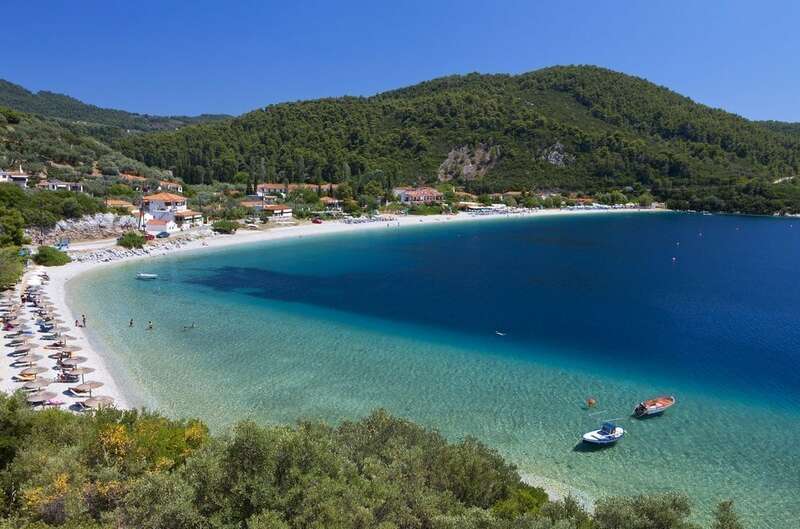 Also well known the beaches of Panormos and Milia, covered with white pebbles and surrounded by a pine forest, considered to be one of the best on the island. The island of Skopelos is also known as one of the greenest in Greece, as the pine forests cover more than half of its territory. It is also famous as one of the prime breeding areas of the Mediterranean monk seal, monachus monachus, protected by National Marine Park of Alonnissos-Northern Sporades.